The details around Australia’s first reported case of blindness from a dermal filler injection remain scant one week after Professional Beauty published the ‘breaking news’ – at this stage the site of the injection remains “unknown” to the general public. Nonetheless the site, whether it’s the nose, tear troughs, cheeks or somewhere else, is largely irrelevant, as blindness can occur from any dermal filler injection on the face if the filler enters the facial artery and blocks the ocular nerve. Most importantly, the fact is a woman was left blind after having the increasingly popular non-surgical treatment in Sydney and the industry must do its very best to ensure it doesn’t happen again. What do you think should be done to reduce the risks associated with dermal filler procedures? Seven answered. Their responses are below. “Sadly there are no minimum standards or accreditation in cosmetic medicine and the entire industry has become commercialised. The public now views cosmetic injectables and laser treatments as a commodity to be purchased at a shopping centre, not as medical procedures which carry risks and complications. This needs to stop. “To me as a medical professional; patient safety and duty of care always come first. Risk mitigation is essential, but as with any medical procedure, these cosmetic treatments carry inherent risks. Correct training and education, appropriate prescribing practices and adequate supervision by cosmetic physicians and surgeons on site in a medical environment should be the minimum standard. “Accreditation of cosmetic clinics (much like all other medical practices in Australia) is needed to ensure high standards in terms of hygiene, correct prescribing practices, compliance with poisons and radiation safety acts, and to ensure adequate emergency protocols and equipment are in place. “Strict emergency protocols and guidelines including in-clinic emergency resuscitation equipment, access to an oculoplastic surgeons, emergency departments and a hyperbaric oxygen chamber are needed to manage issues such as skin necrosis, neurological events, anaphylaxis and acute visual loss. “Unfortunately the lack of regulation has resulted in an influx of unethical clinics. The public needs education to ensure that they attend a dedicated cosmetic clinic with an injector who is is experienced, has has extensive training (not a two-day course held by a pharmaceutical company) and recognition within in the industry such as membership with one of the cosmetic colleges. “To reduce risk there should be a minimum set standard or level of training that needs to be regulated by a peak body. The complication here is who is the peak body? There are several players in this market space including plastic surgeons, cosmetic surgeons, dermatologists, GPs, dentists, and of course, nurses. For there to be any form of standardisation, there needs to be a peak body that sets out minimum standards and levels of training. “Understanding the anatomy of the face and the danger zone of the face are essentials. The most dangerous zones to inject with needles are the nasolabial folds (one of the first areas a beginner will attempt to learn as it is mistakingly perceived as safe), the nose, under the eyes and the glabellar area. Unfortunately you cannot learn these in few hours… most doctors would have done two years of anatomy and further studies whilst specialising in aesthetic medicine. Ensuring that the injectable drug is reputable and TGA approved. The client/patient has undergone a thorough consultation process for suitability of the procedure by a qualified medical practitioner or a nurse who is under the jurisdiction of a doctor prior to every procedure. The injector is qualified specifically in cosmetic injectables and can provide evidence of on-going professional development to improve their skills and knowledge. 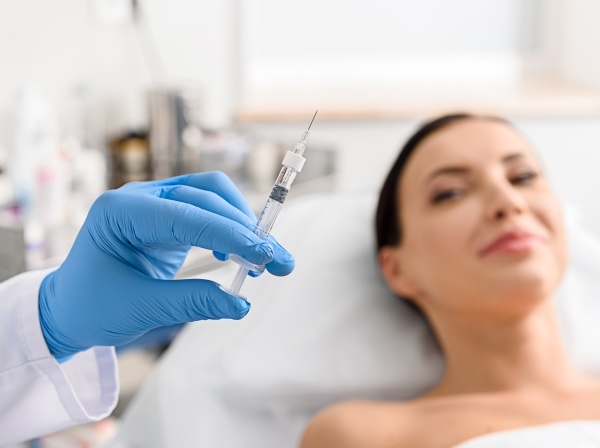 “Non-surgical rejuvenations such as injectable fillers are popular and the demand for treatments to be cheap and accessible has led to risky practices. These practices include procedures being performed by untrained, or poorly trained providers and the no-frills service could be at the cost of essential safety equipment. High risk invasive procedures such as cosmetic injectables should be carried out under medical supervision. Doctors and nurses involved in high risk invasive cosmetic procedures such as cosmetic injectables should participate in mandatory Continuing Medical Education by attending the Injectable Safety Anatomy Workshop and the Non-Surgical Symposium and be certified in the resuscitation and treatment of complications. Practitioners need to be able to identify the signs of complications and have the skills required to treat them. Regulation of facilities where invasive cosmetic treatments are performed to ensure appropriate infection control and resuscitation equipment are present. “I feel that we need to have a better relationship with the on call Plastic Surgeons and Opthalmologists at local hospitals who can be contacted in the case of a serious emergency. If immediate blindness has been caused by dermal filler we have to act within minutes. I feel that Cosmetic Practitioners should offer immediate treatment in their clinics but patients should also be reviewed urgently in the hospital within the hour by Specialists who can assist to try to save the eyesight.